For Chinese New Year, Prada presents Prada Wonderland, an exclusive pop-up installation at the Galaxy Macau in China. The shopping centre is no stranger to Prada exclusives, this time last year, also celebrating the Chinese New Year, Prada launched 'The Spirit of Prada' at the same venue, along with two exclusive Cahier bags in pink and silver. Alongside limited edition Prada piecesm visitors will be treated with a series of attractions from early twentieth-century funfairs, with a Prada twist of course. 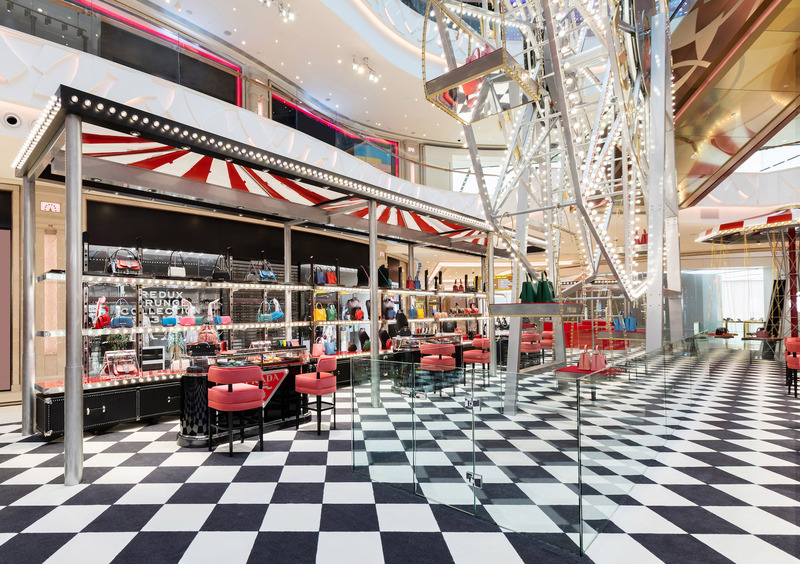 The Prada Wonderwheel, an update of the classic Ferris wheel, is located at the centre of the space, holds Prada’s iconic pieces inside shopping bag shaped cabins. 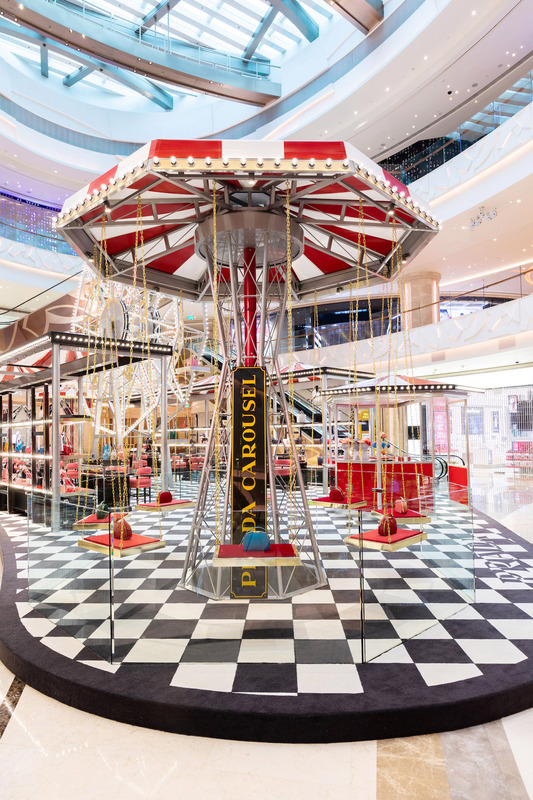 And the Prada Carousel, two merry-go-rounds at either end of the installation, displaying dynamic pieces from the brand. The venue also features two large ‘Shooting Booths’, designed as a modern twist on furniture designs from the iconic Prada store in the Galleria Vittorio Emanuele II in Milan.